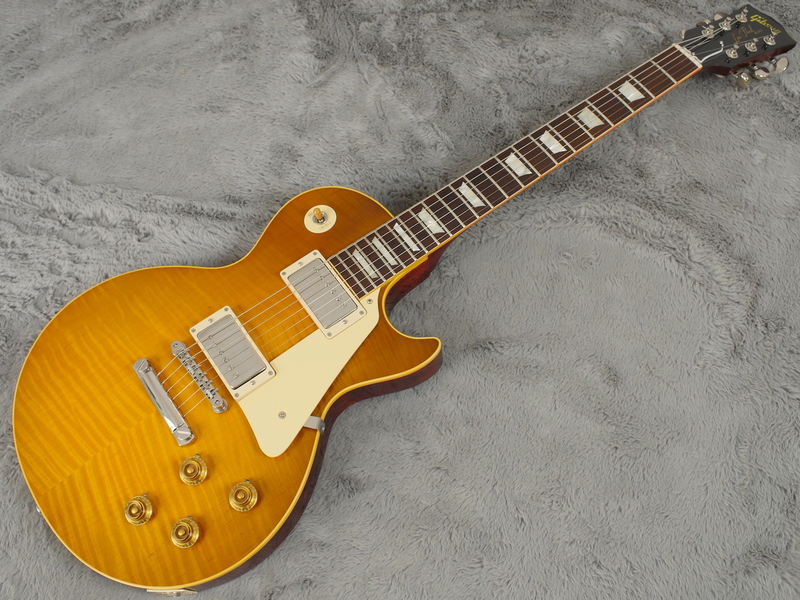 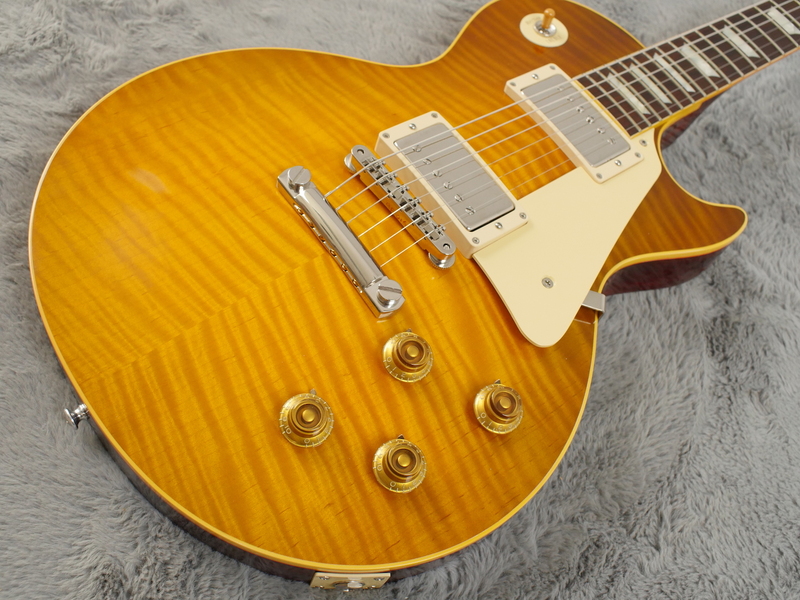 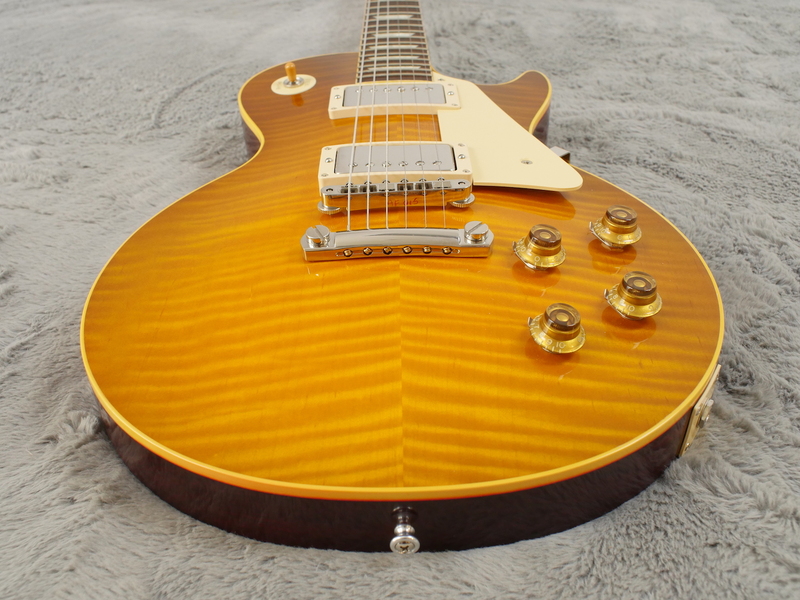 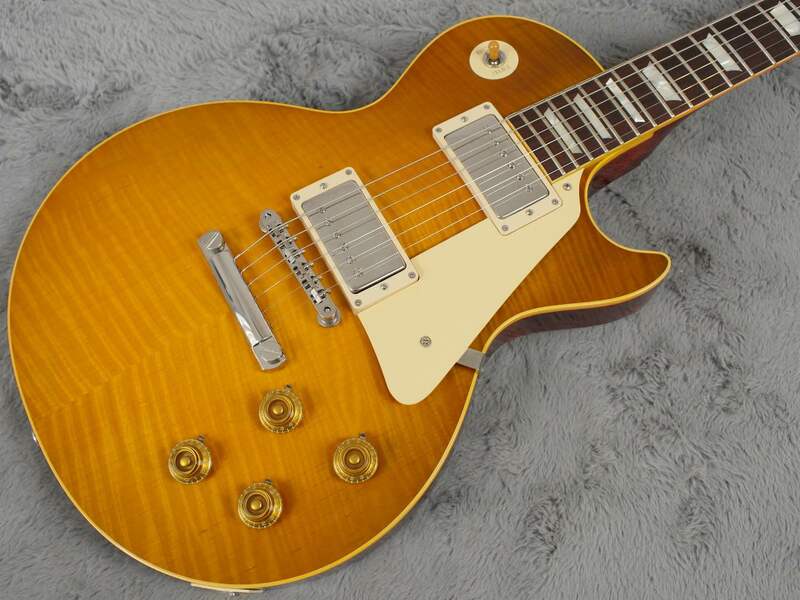 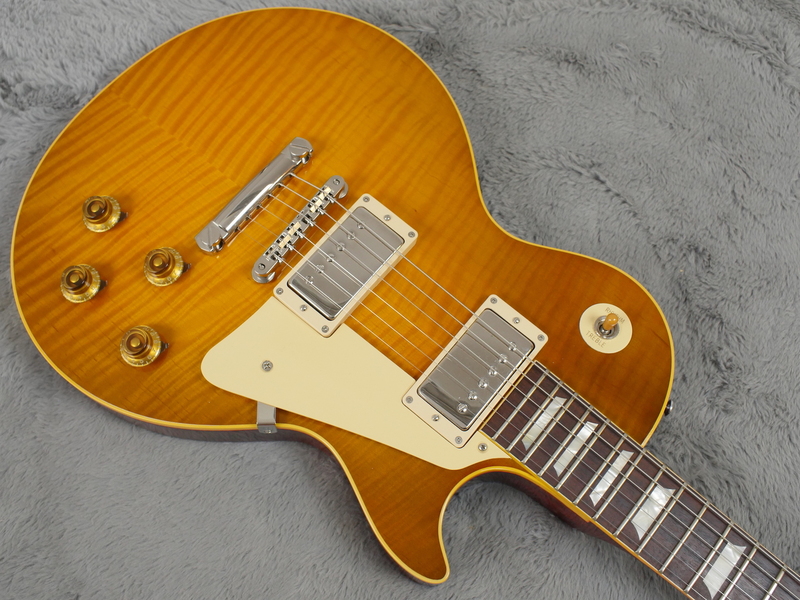 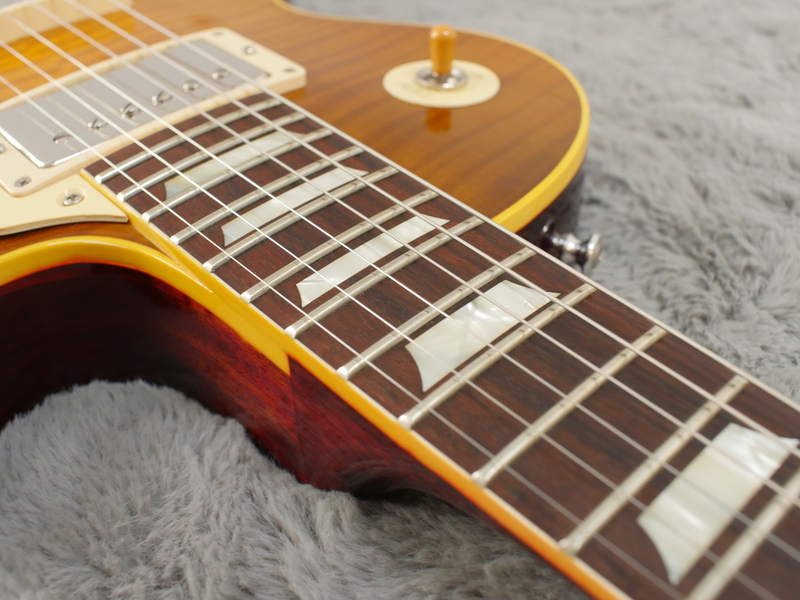 From Kiss, without the make-up we have this first-rate 2015 Gibson Les Paul True Historic Ace Frehley ‘59 ‘Burst Vintage Gloss. 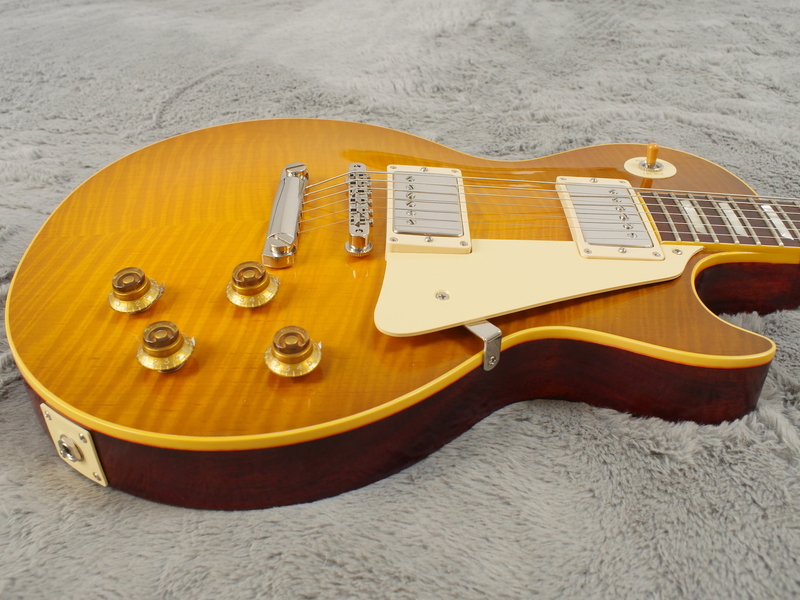 Built by the Gibson Custom shop, the 15th of a run of 250, this guitar is an accurate representation of the Kiss guitarist’s prized 1959 Gibson Les Paul Standard. 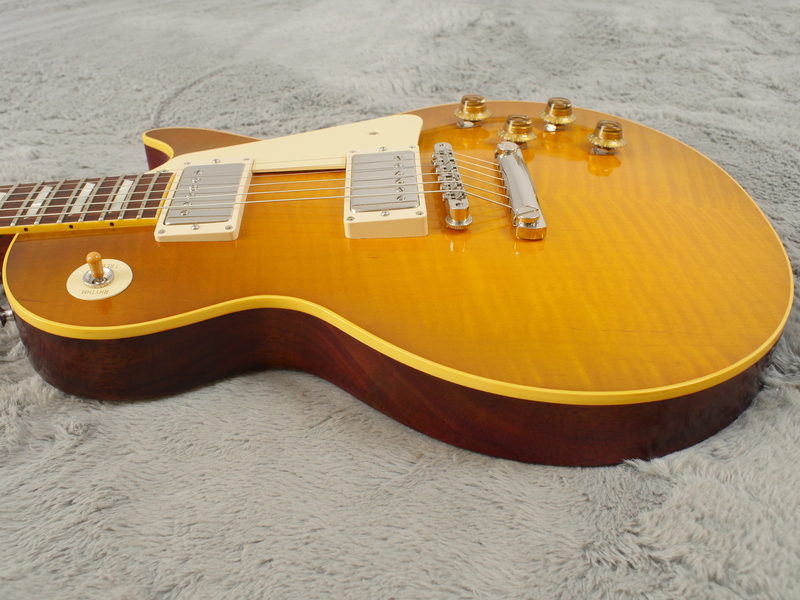 Gibson have gone to great lengths to reproduce the manufacturing processes which yielded these infamous instruments, using hide glue throughout construction, hand sanding the finish and molecularly analysing the composition of the plastics to get closer to their original colour and appearance. 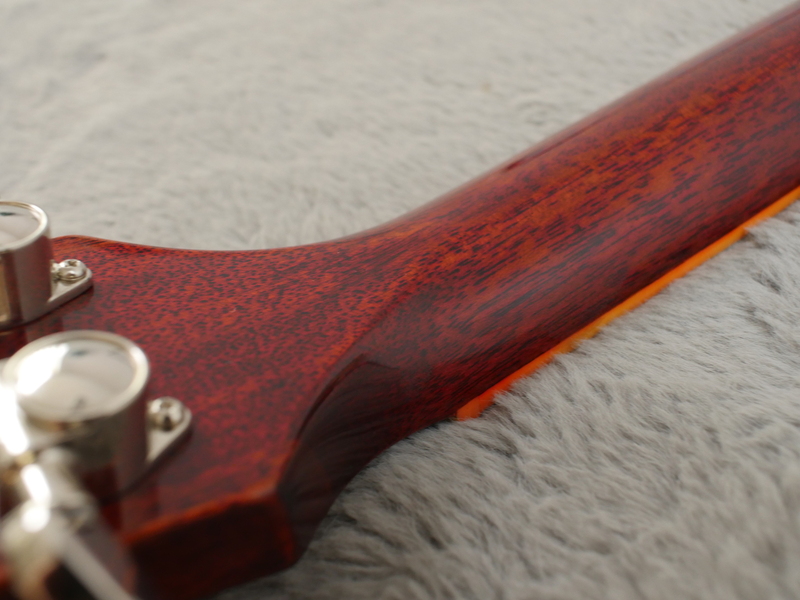 The guitar is in mint condition, having been well cared for by its previous owner. 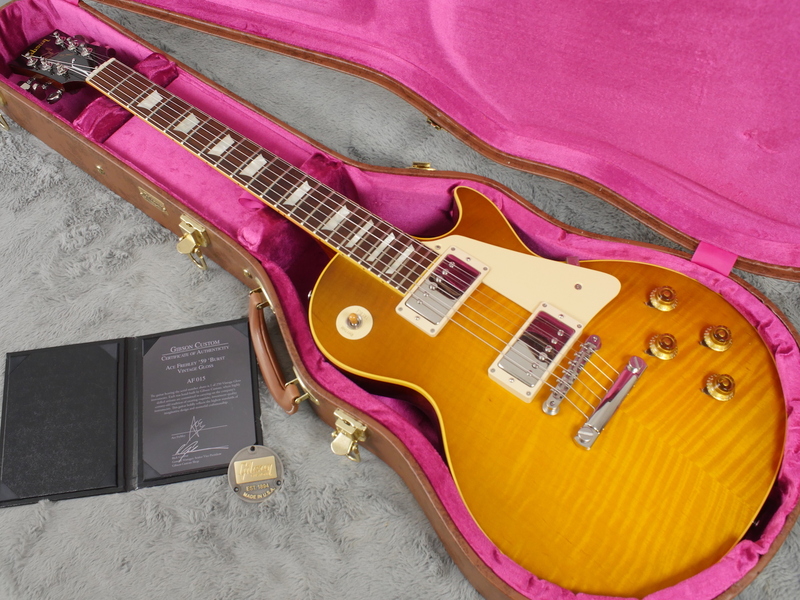 A shorter run of these guitars were aged to match Ace’s original but this one remains untouched. 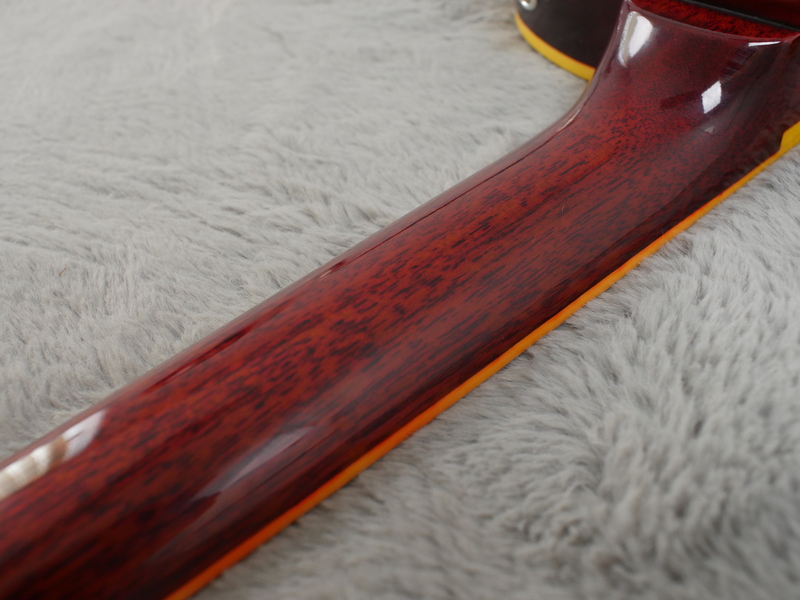 The subtle flame of the maple top is enhanced by the lemon burst with the mahogany accentuated by the rich cherry finish. 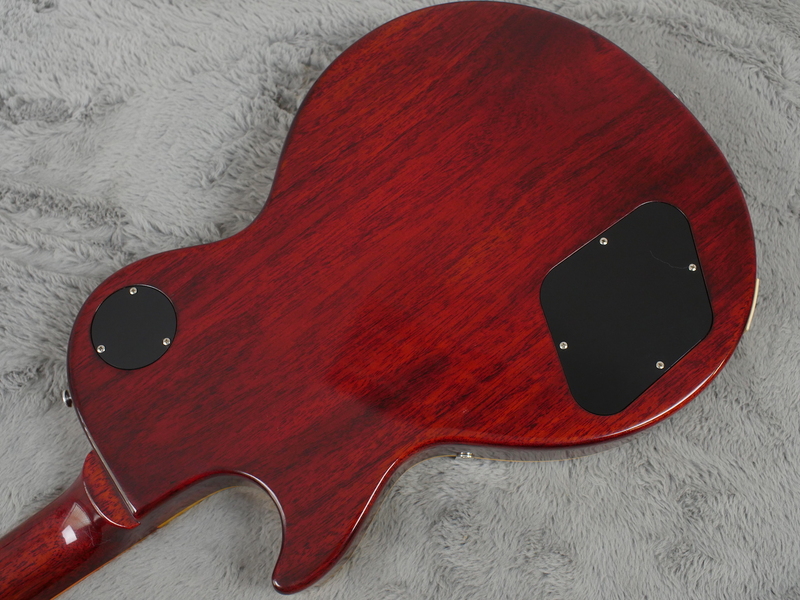 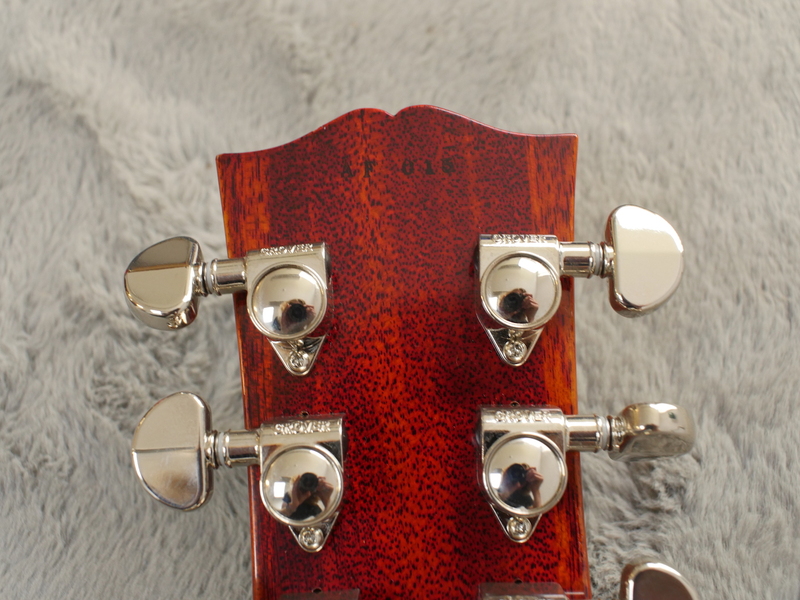 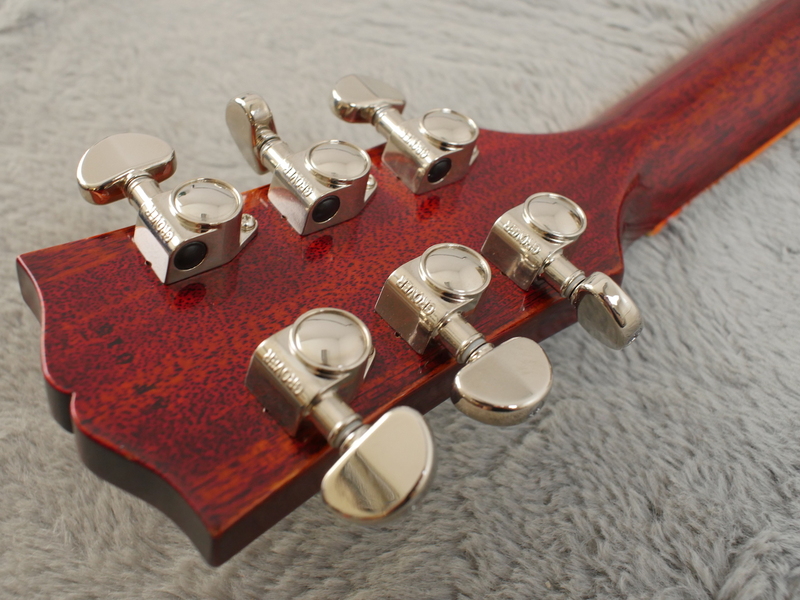 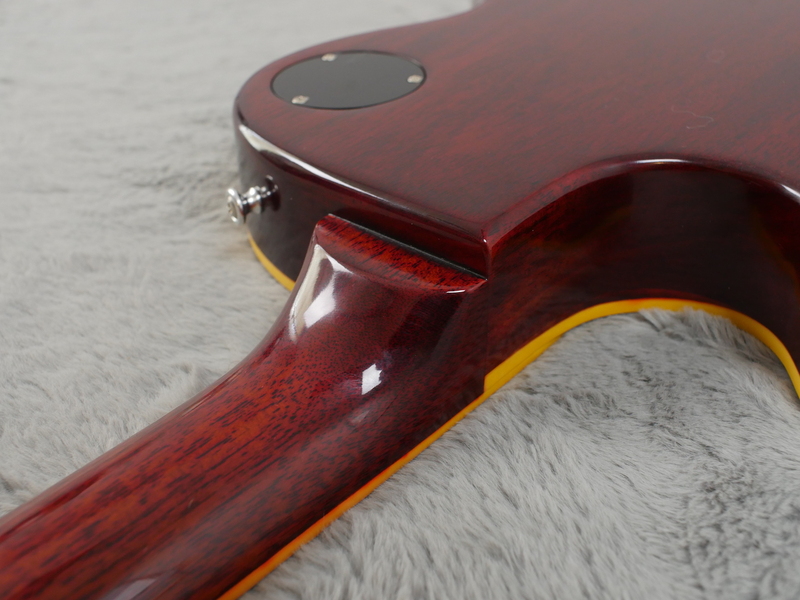 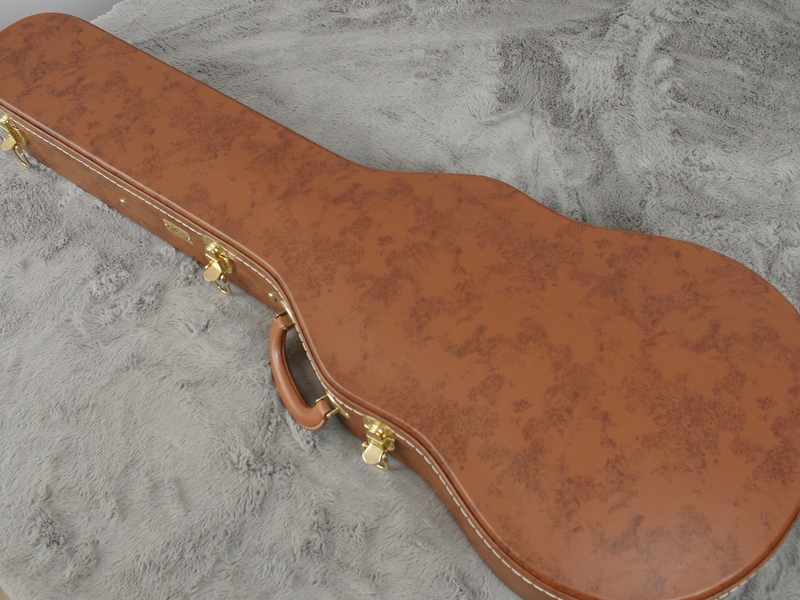 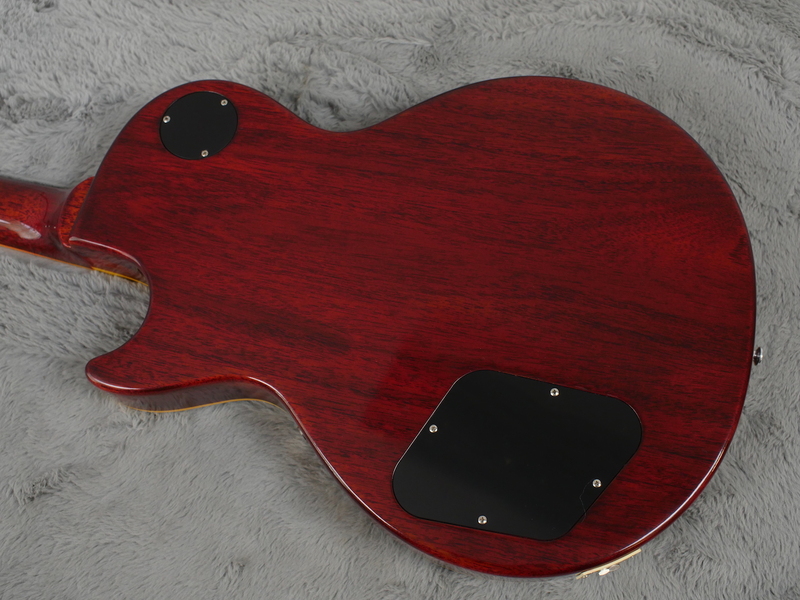 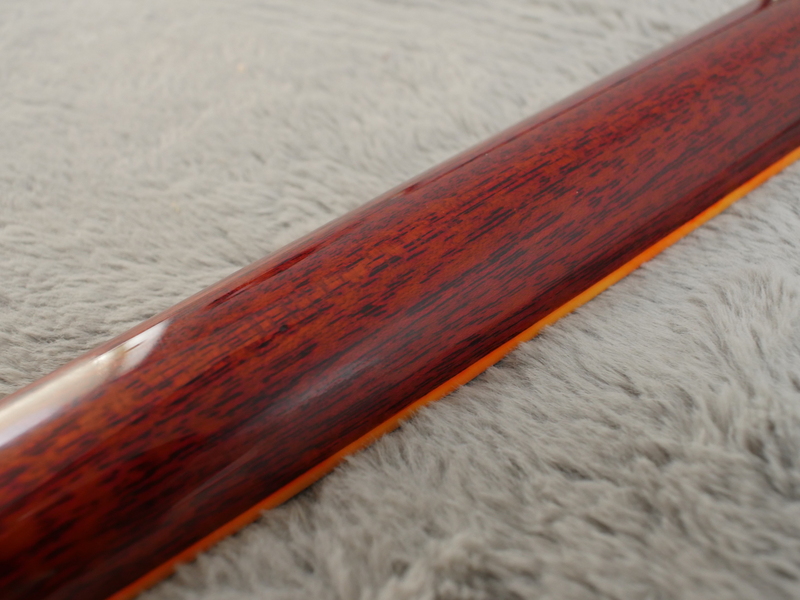 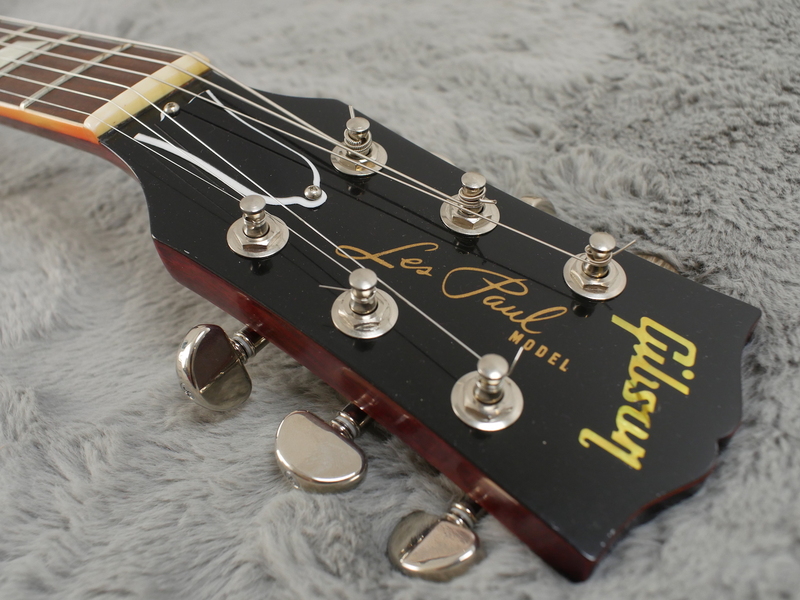 The guitar comes with its original hardshell case. 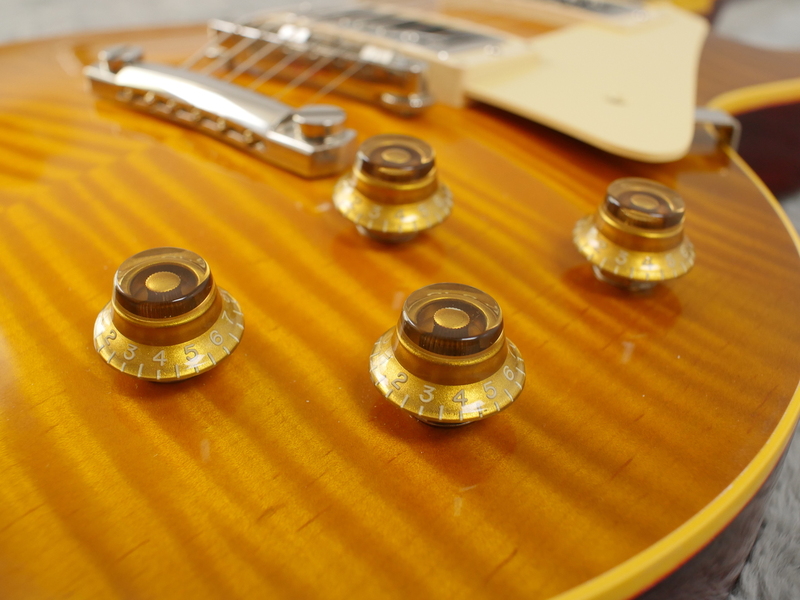 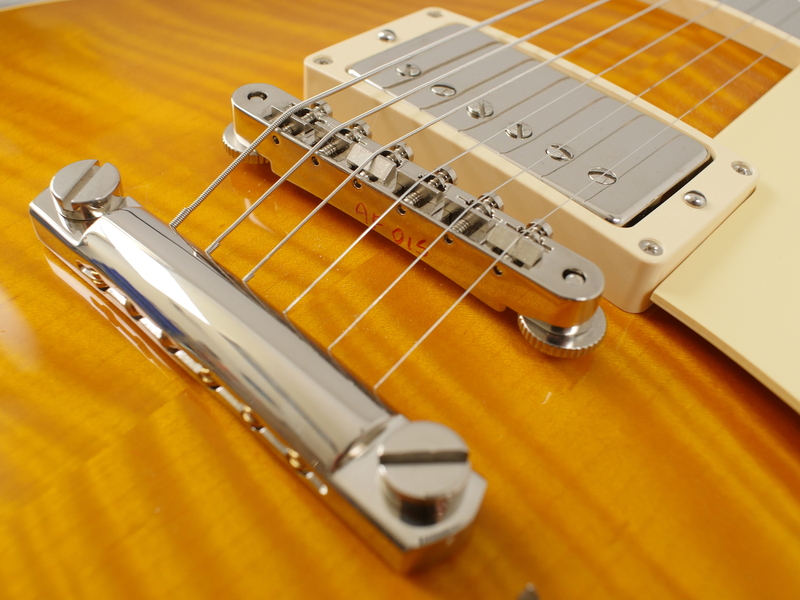 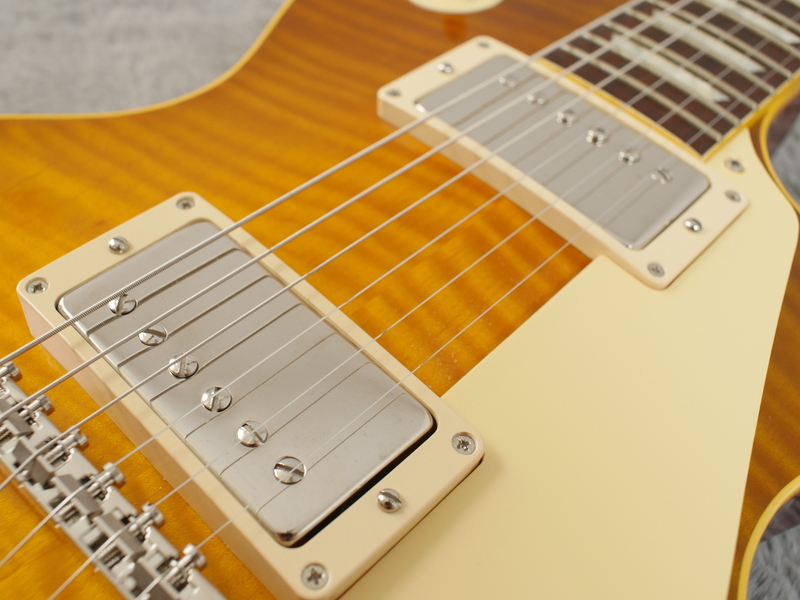 This guitar’s custom buckers, specifically chosen by Mr Frehley himself, evoke those classic PAF tones. 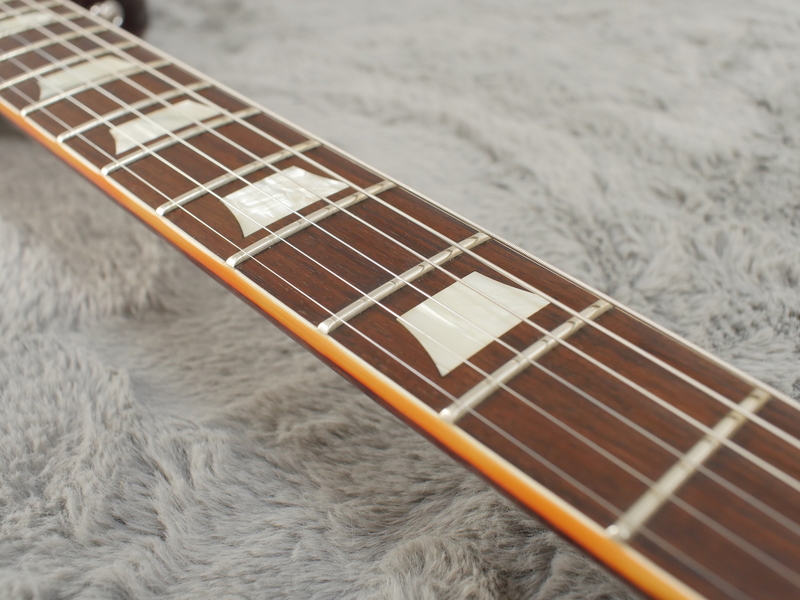 Theres plenty of bite here along with a chimey clarity and so many great sounds in-between. 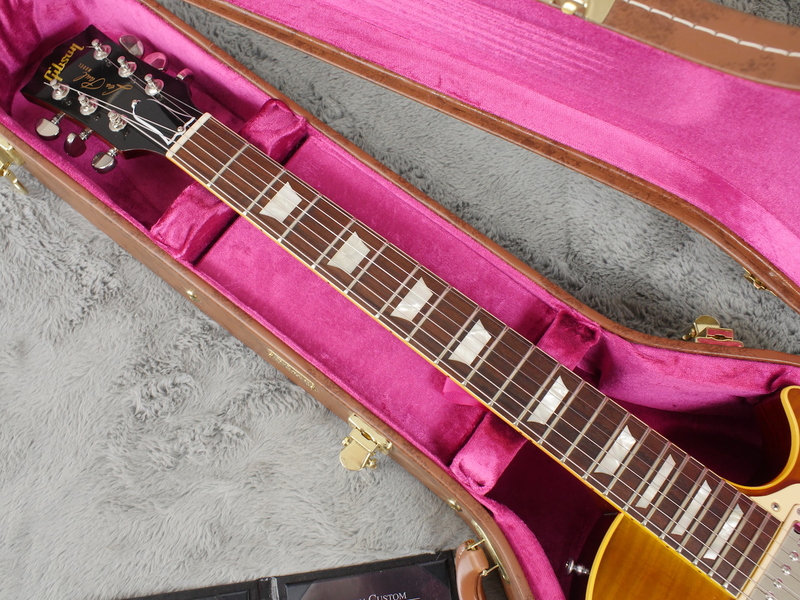 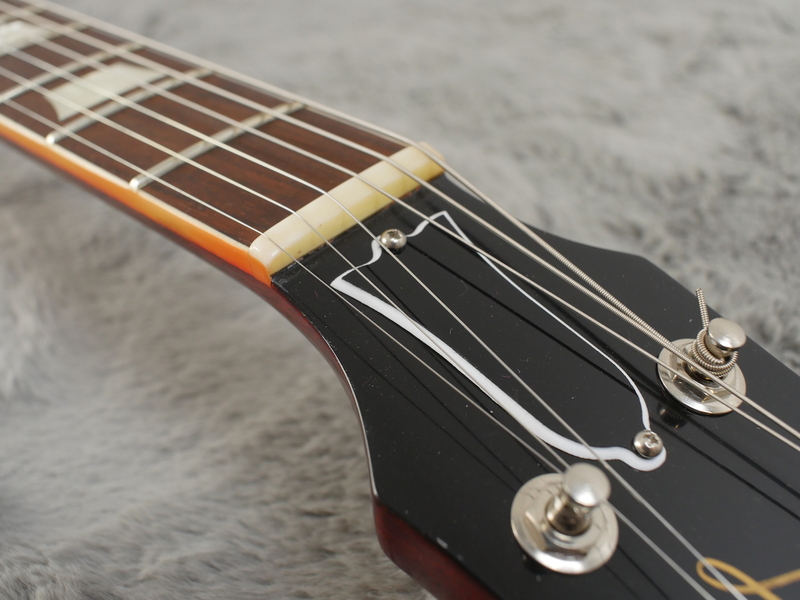 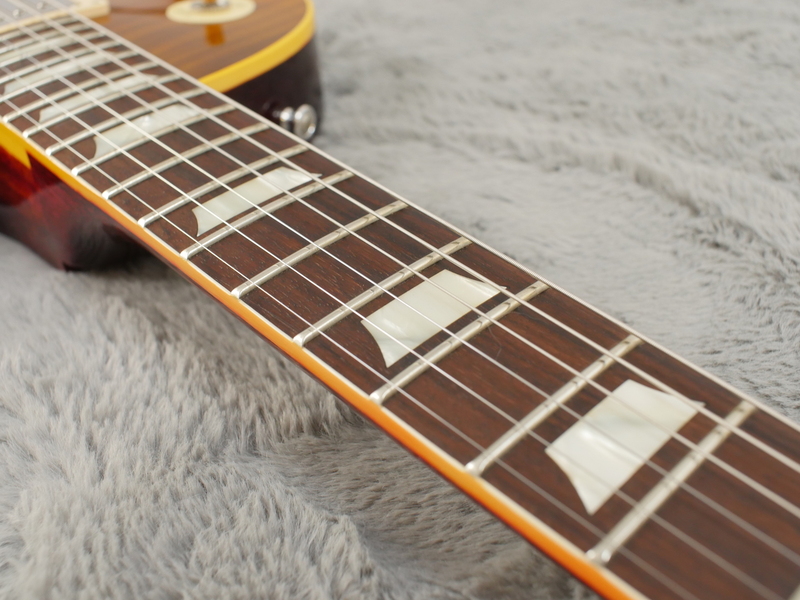 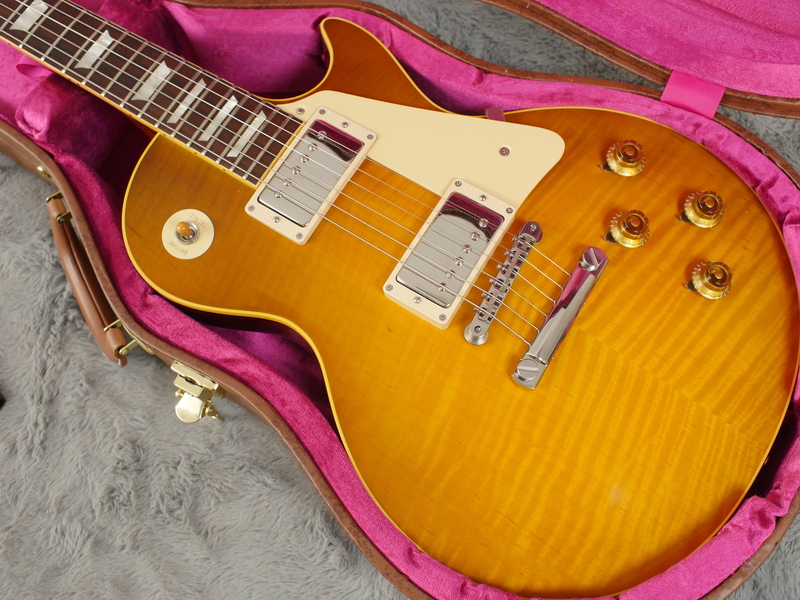 Unlike many artist signature models, this guitar is free from any obvious endorsement and even if you aren’t a fan of mid-70s rock, this guitar will surely fill a burst shaped hole in your collection.